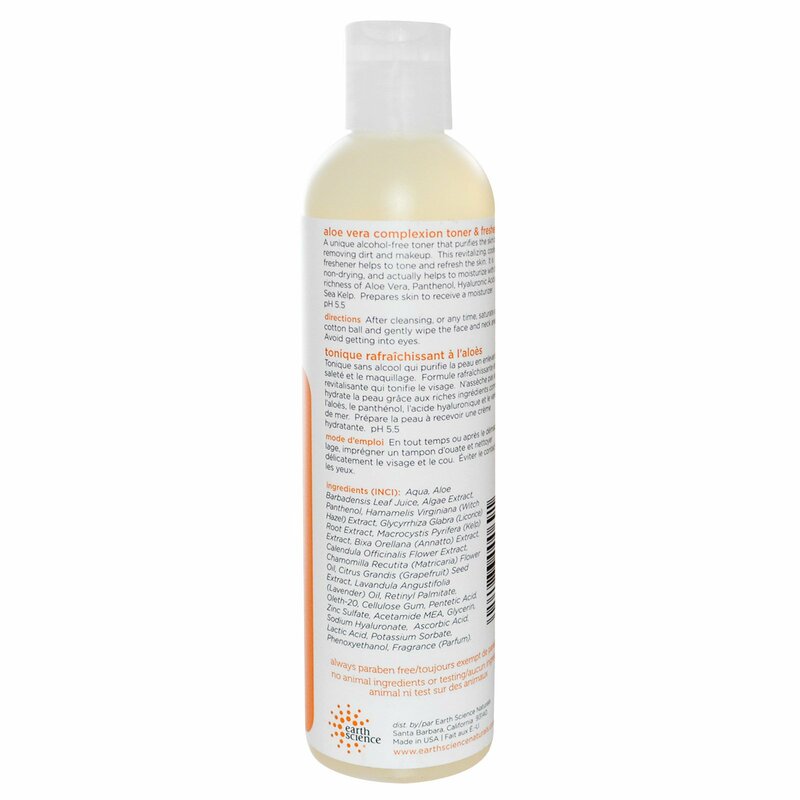 A unique alcohol-free toner that purifies the skin by removing dirt and makeup. This revitalizing, cooling freshener helps to tone and refresh the skin. 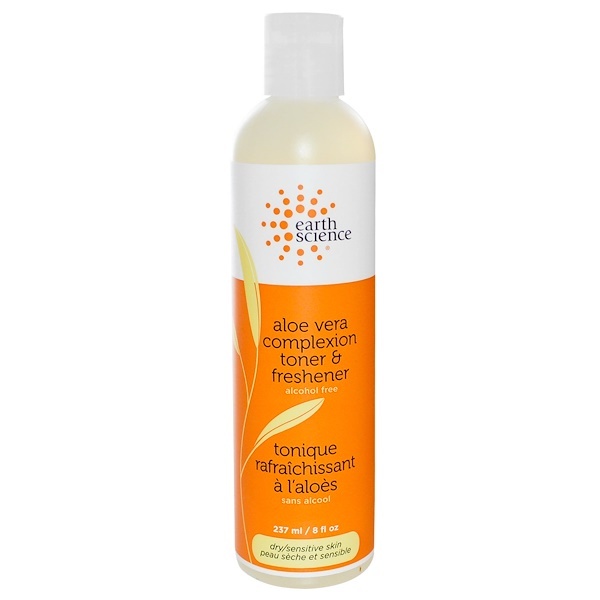 It is non-drying, and actually helps to moisturize with the richness of Aloe Vera, Panthenol, Hyaluronic Acid and Sea Kelp. Prepares skin to receive a moisturizer. pH 5.5. After cleansing, or any time, saturate a cotton ball and gently wipe the face and neck area. Aqua, aloe barbadensis leaf juice, algae extract, panthenol, hamamelis virginiana (witch hazel) extract, glycyrrhiza glabra (licorice) root extract, macrocystis pyrifera (kelp) extract, bixa orellana (annatto) extract, calendula officinalis flower extract, chamomilla recutita (matricaria) flower oil, citrus grandis (grapefruit) seed extract, lavandula angustifolia (lavender) oil, retinyl palmitate, oleth-20, cellulose gum, pentetic acid, zinc sulfate, acetamide MEA, glycerin, sodium hyaluronate, ascorbic acid, lactic acid, potassium sorbate, phenoxyethanol, fragrance (parfum). Always paraben free, no animal ingredients or testing.